The term passive immunity refers to the immune protection that can be produced by the transfer of antibodies to a recipient from a human or animal donor. 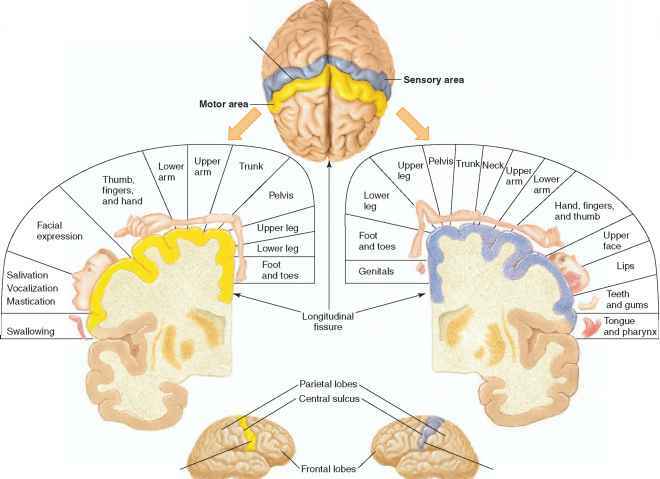 The donor has been actively immunized, as explained by the clonal selection theory. The person who receives these ready-made antibodies is thus passively immunized to the same antigens. Passive immunity also occurs naturally in the transfer of immunity from mother to fetus during pregnancy and from mother to baby during nursing. The ability to mount a specific immune response—called immunological competence—does not develop until about a month after birth. The fetus, therefore, cannot immunologically reject its mother. The immune system of the mother is fully competent but does not usually respond to fetal antigens for reasons that are not completely understood. Some IgG antibodies from the mother do cross the placenta and enter the fetal circulation, however, and these serve to confer passive immunity to the fetus. The fetus and the newborn baby are thus immune to the same antigens as the mother. However, since the baby did not itself produce the lymphocyte clones needed to form these antibodies, such passive immunity gradually disappears. If the baby is breastfed it can receive additional antibodies of the IgA subclass in its mother's milk and colostrum (the secretion an infant feeds on for the first 2 or 3 days until the onset of true lactation). This provides additional passive immunity until the baby can produce its own antibodies through active immunity (see chapter 20, fig. 20.56). Passive immunizations are used clinically to protect people who have been exposed to extremely virulent infections or toxins, such as tetanus, hepatitis, rabies, and snake venom. In these cases, the affected person is injected with antiserum (serum containing antibodies), also called antitoxin, from an animal that has been previously exposed to the pathogen. The animal develops the lymphocyte clones and active immunity, and thus has a high concentration of antibodies in its blood. Since the person who is injected with these antibodies does not develop active immunity, he or she must again be injected with antitoxin upon subsequent exposures. Active and passive immunity are compared in table 15.9. 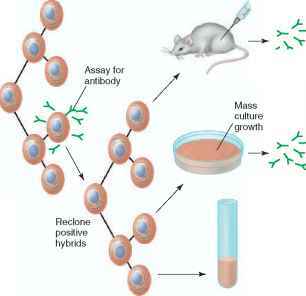 ■ Figure 15.24 The production of monoclonal antibodies. These are antibodies produced by the progeny of a single B lymphocyte, so that all of the antibodies are directed against a specific antigen. What antibodies passive immunity to baby in pregnancy? What immunity do antibodies cross the placenta and enter the fetus? How can artificial passive immunity protects human? How aTransfer of passive immunity from mother to infant happen? How does the fetus acquired immunity from the mother? 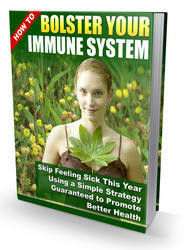 What steps to take to boost immunity anatomy and physiology?